Welactin® Liquid for Cats 4oz. 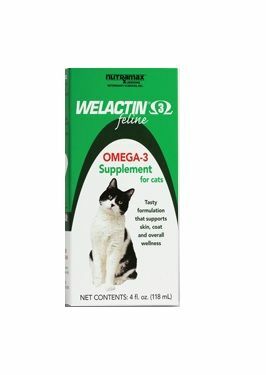 Welactin® is a palatable, specially formulated product designed to support the overall wellness and health of your cat during the aging process. 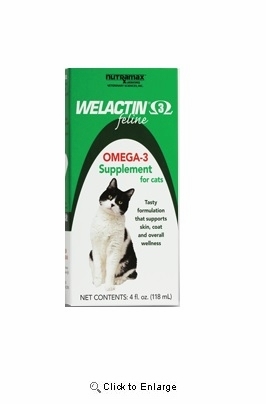 Welactin® is a high-potency, natural salmon oil supplement containing a rich source of Omega 3 fatty acids. These ingredients help support the kidneys, nervous system and immune function as well as combats dry skin.